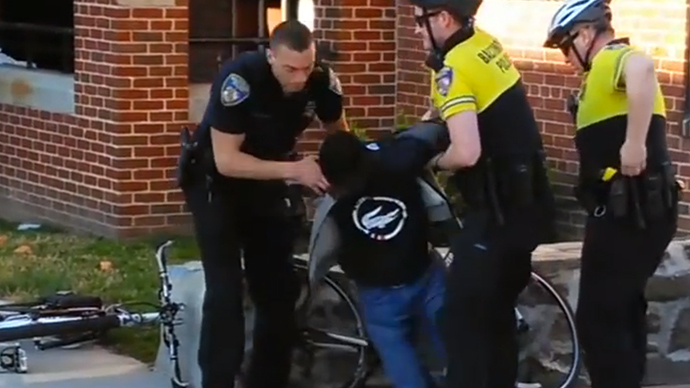 When the Baltimore State’s Attorney’s Office issued six arrest warrants for the police officers involved in the death of Freddie Gray, two arrest warrants were actually made out for the wrong people. One warrant was for the arrest of Alicia White, but instead of calling up Baltimore police sergeant Alicia White, bail bondsmen and journalists started phoning East Baltimore elementary school cafeteria manager Alicia White, seeking comment from her family about her arrest. "The middle initial was off. Her address, her height, her weight, her driver's license number - all of the information was my client's information," Jeremy Eldridge, an attorney representing the misidentified resident, told the Baltimore Sun. "Her life has been a living hell the past four days,” he said. "In light of the violence and emotion our city has seen, to not send someone out and tell her, 'Hey, we issued a warrant for you by mistake' is unreal," Eldridge told the Sun. The same mistake happened with the arrest warrant for Lt. Brian Rice. An attorney for Rice also said his client’s information was entered incorrectly. Instead of Lt. Brian Rice, many reporters found Tammy and Brian Rice of Brunswick, Maryland. This Mr. Rice, as it turns out, is a plumber. The mistake in the arrest warrant for Lt. Brian Rice is notable because he is not a stranger to sheriffs’ offices or the court system. He was hospitalized over mental health concerns and had his gun confiscated three years ago. He was also accused of domestic violence in 2008 and 2013, according to public filings. In both cases requests for protective orders were denied by the judge. However, a temporary protective order was issued to Rice for a week in 2013 warning him not to abuse, contact, or go to the home or workplace of the person who had taken him to court. Rice is central to the arrest of Gray on April 12, as it was he who first made eye contact with Gray and gave chase when Gray ran away. All six of the charged officers posted bail and were released the same day the charges were filed.